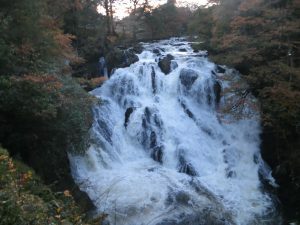 It has been a very busy and fun past few months up in Bangor, despite the worsening winter weather and continuous rain. 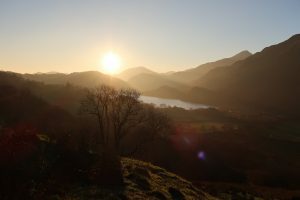 I have had various visits from friends and family, which has been the perfect excuse to explore North Wales! 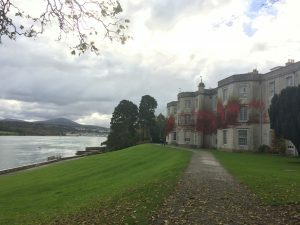 In October I looked around Beaumaris on Anglesey with my friend Ramya and visited some beautiful waterfalls around Snowdonia with my friends Amy and Chloe. My parents came for a visit for a week at the end of October. We had a fantastic time! 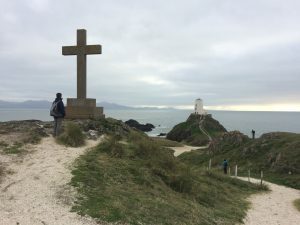 We went on a walk around Holyhead and South Stack lighthouse. We explored Caernarfon Castle which was incredible, probably the best castle I have ever been to. 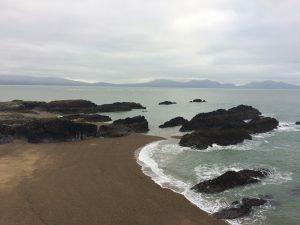 We visited Newborough beach and Llanddwyn Island which was beautiful and on the last day we had a look around Plas Newydd, a National Trust property on Anglesey. My friend Natalie from home came up for a visit as well in November. 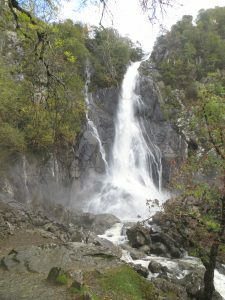 It was a pretty rainy weekend, so we decided to do a little road trip around Snowdonia featuring Betws-y-Coed, Llanberis and Caernafon. 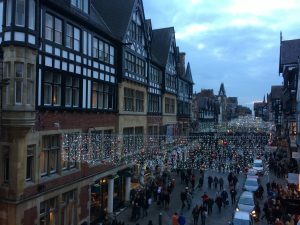 In December Chloe and I decided to take a trip to Chester to visit the Christmas Market, which was really nice! 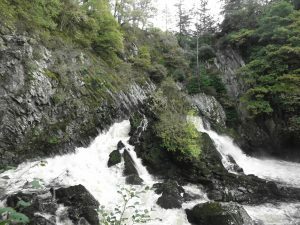 As well as all this exploring I also have been having a great time doing placement. GP placement has been good as always, and we have been doing a few extra things as well. We had 2 days at the hospital of SIM training with the SIM man; a mannequin/robot which breaths, blinks and has a pulse among other things! We played out 3 emergency medicine scenarios which included chest pain, sepsis and abdominal pain. It was really fun and we are hoping to be able to do some more SIM tutorials next year. We also had the chance to do some communication skills tutorials with actors. These involved playing out difficult situations such as breaking bad news and talking to patients via an interpreter. It was a really interesting experience. Finally in the 2 weeks before our Christmas holiday we had 2 weeks of hospital placement at Ysbyty Gwynedd. My first week was in A&E, and it was really exciting! 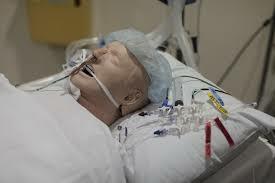 I got to observe a few emergencies, take lots of histories from patients and practice various clinical skills! My second week was in MAU (Medical Assessment Unit). Again I had lots of opportunities to clerk patients and practice my skills, and got to observe ward rounds as well! Also one of the consultants specialised in Cardiology, and I got the chance to observe him putting in a pacemaker which was very interesting. 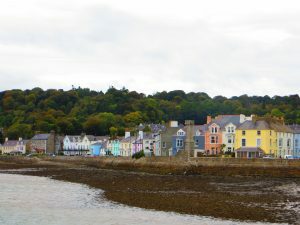 Overall I have had an incredible time up in Bangor for my first term, and I can’t wait for what is to come in the New Year. 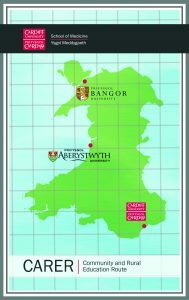 Fantastic to hear how much you’re enjoying placement with us in Bangor. And, as a cofi (i.e. 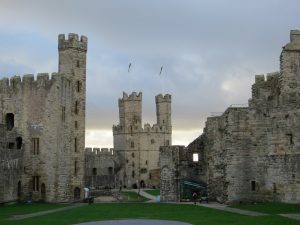 from Caernarfon) REALLY glad you like our castle! Plenty more SIM to come for team Bangor!